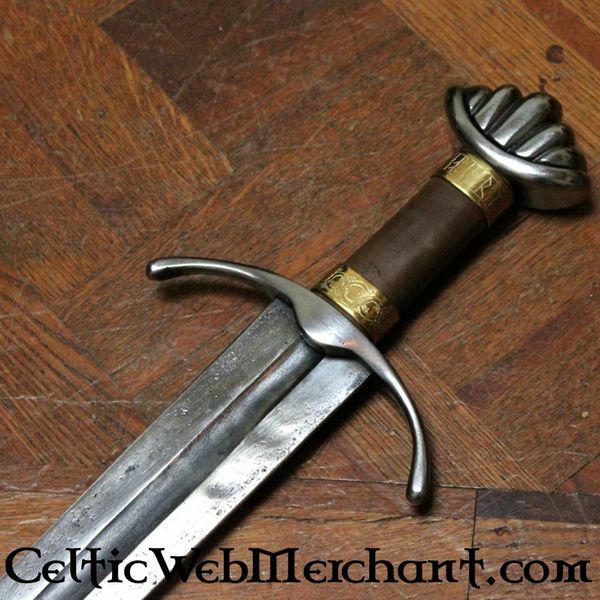 This sword is a replica of an Oakeshott type XII sword excavated in a stone tomb in Korsoygaden, Norway, although the sword dates from the 11th-13th century AD. 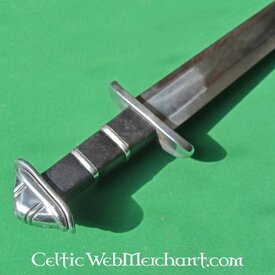 Swords like this were developed from the Viking swords and they were used between the 11th and 14th century in Scandinavia, Ireland and on the British isles. 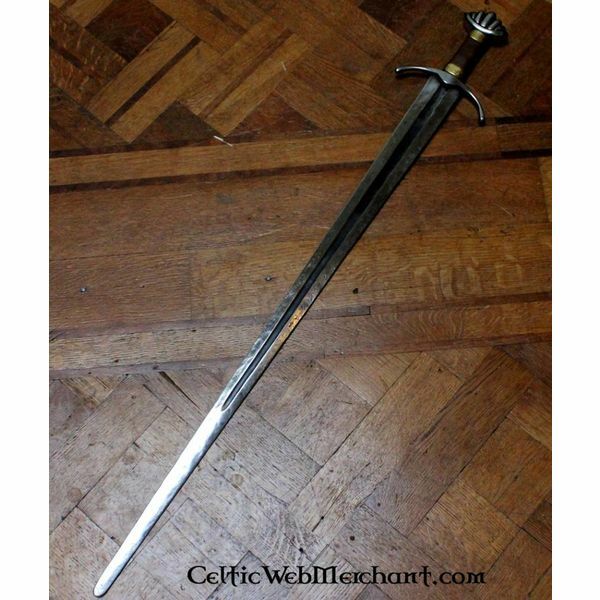 A similar sword is the Cawood sword which was excavated in Yorkshire. 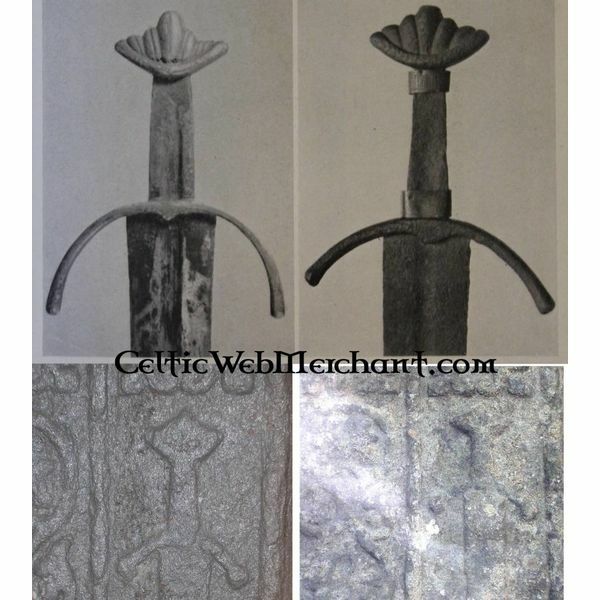 These swords are frequently depicted on the tombs on the Scottish west coast because the galloglass and Gaelic aristocracy used swords like this. 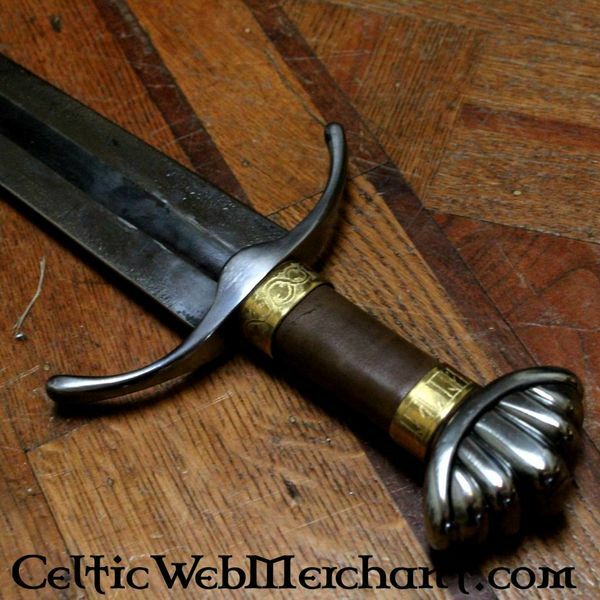 Perhaps the most striking feature of this sword is its grip with a Rune inscription. The Runes possibly date from the 13th century, which shows that Runes were used until the Middle Ages. It is very remarkable that this sword was found as a burial gift: these were not common in Scandinavia. 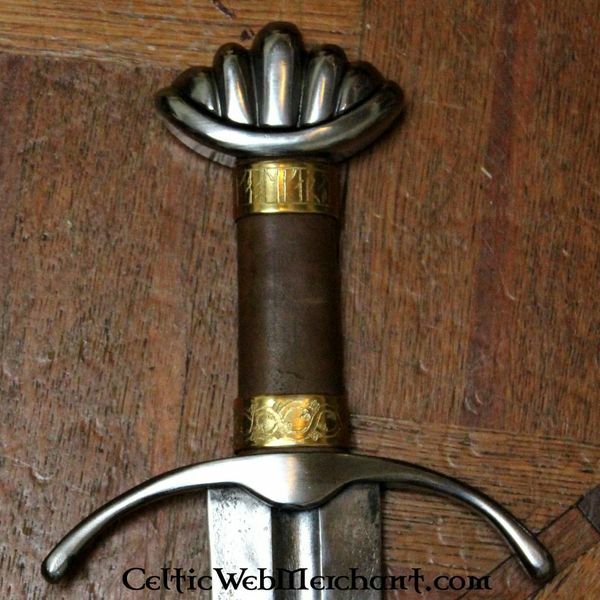 The lowest ring of the grip shows a leave motif which is typical for the 11th-13th century. 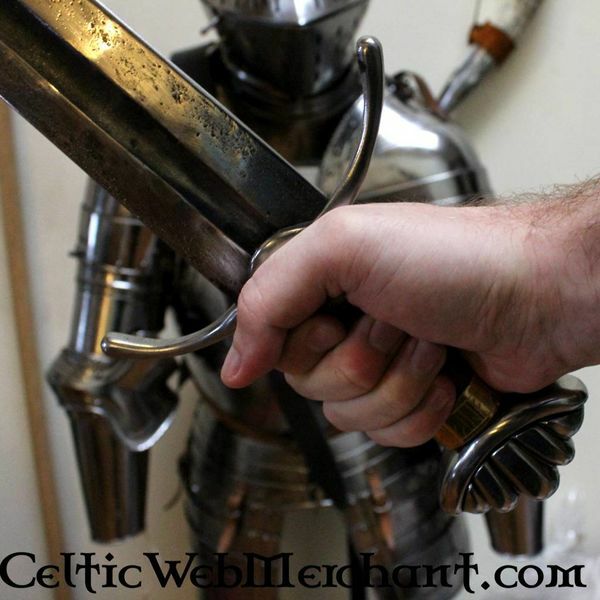 This sword has a length of 102 cm, with a blade of 88 cm. It weighs 1,4 kg (approx. 1600 grams in the blunt version) and its point of balance is situated approx. 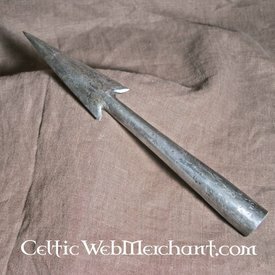 14 cm below the cross-guard. 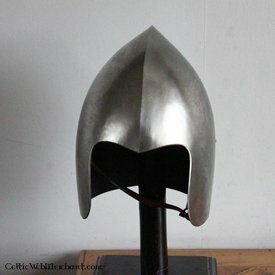 The weight is the same as the original sword. één van de mooiste zwaarden die ik ooit in mijn handen heb gehad. Aan dit zwaard is tot in de kleinste details aandacht besteed. Daarnaast is hij dankzei zijn Oakeshott type XII kling erg goed in balans. 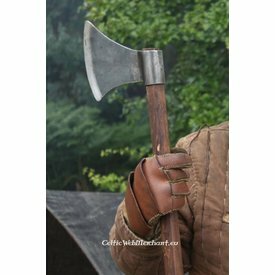 Het zwaard is dus een geweldige collectors item, maar ook geschikt om lang en intensief mee te vechten.